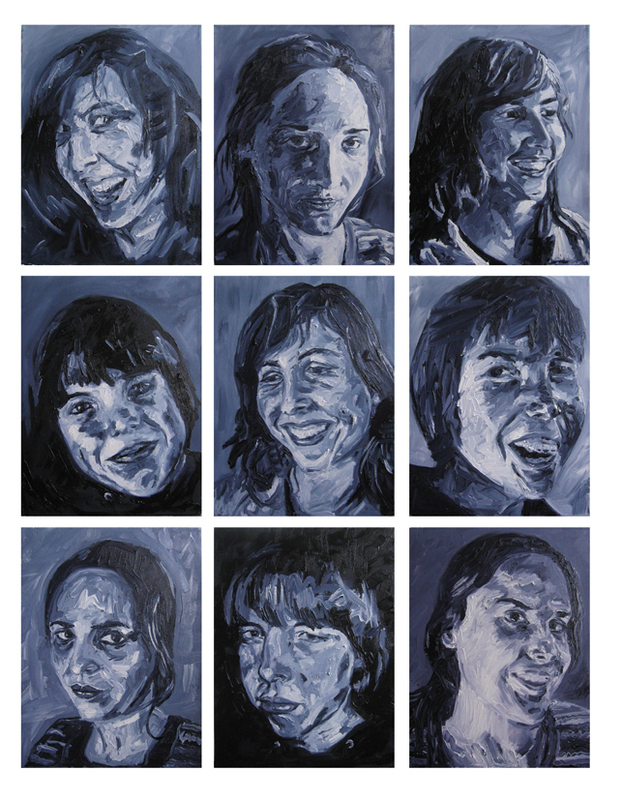 The black and white portraits show different expressions of the same single person. 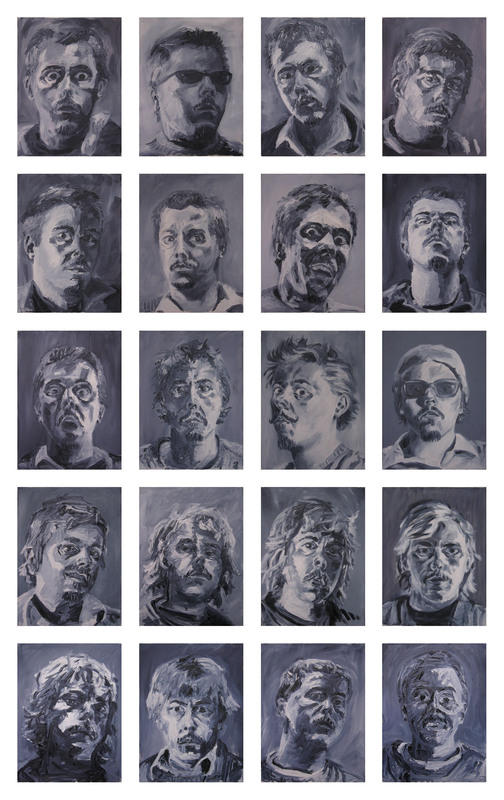 These paintings together make the definitive portrait. 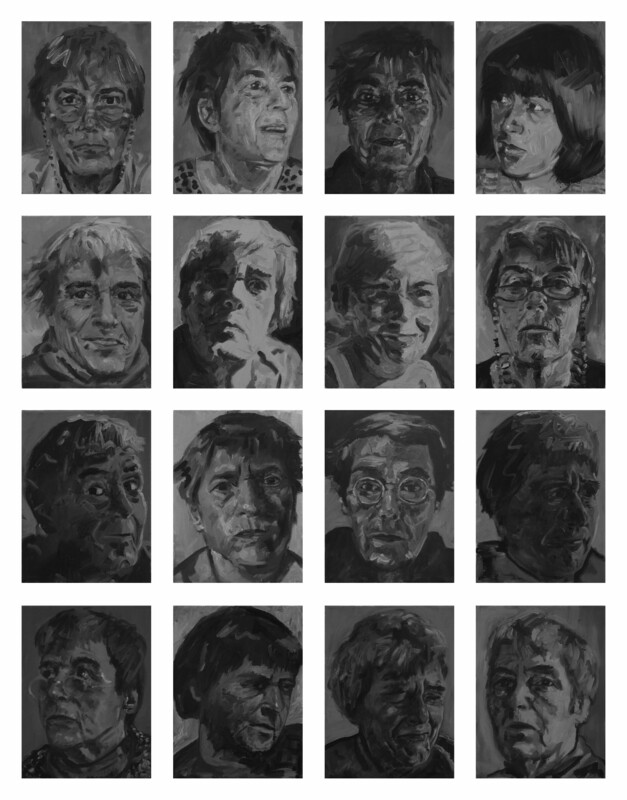 It strives to a more complete portrait of an individual, while one knows persons in different expressions, and not just one single ‘still’. 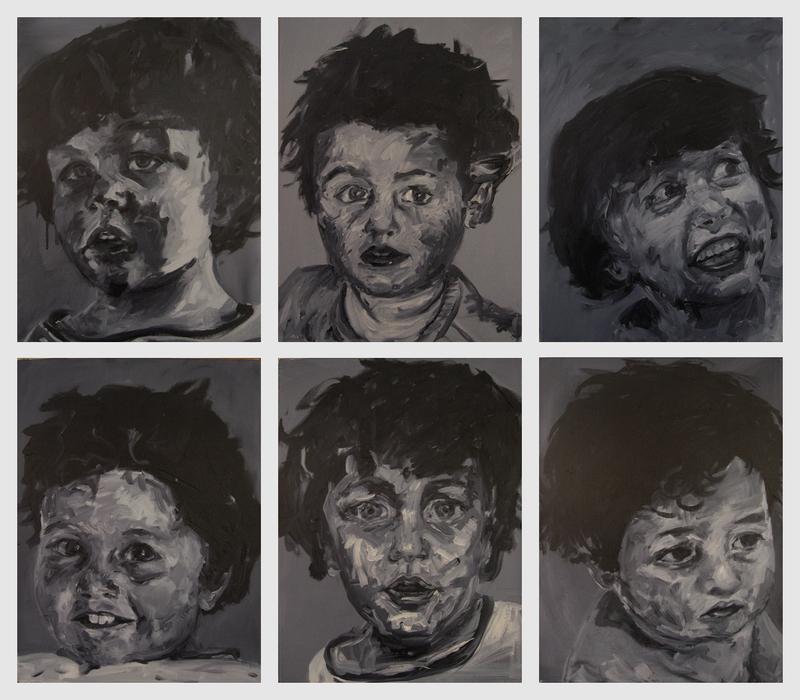 The rough black and white tones in the paintings, allows the spectator to get its own recognizable elements from the work and creates the ability to recognize new elements. This creates a lively, dynamic portrait that’s constructed for the bigger part in the head of the beholder itself. 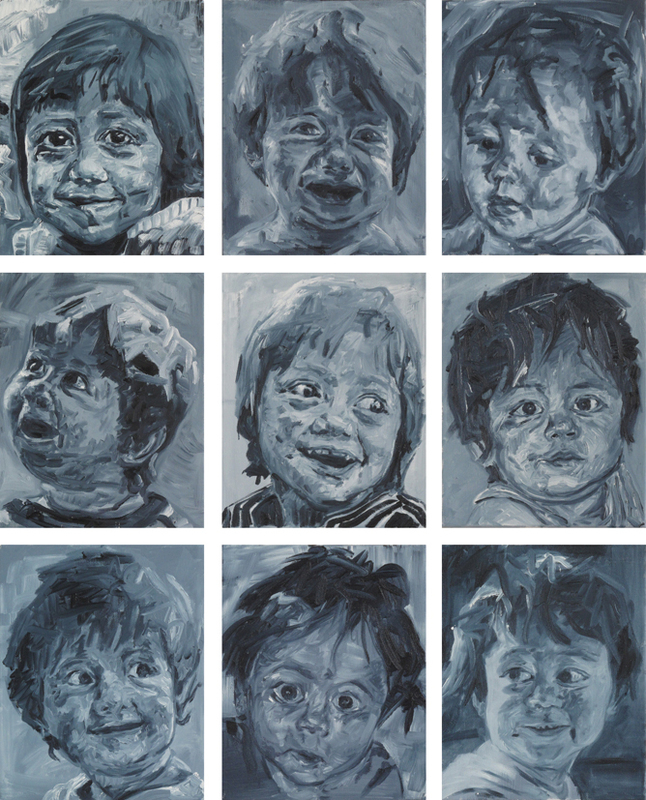 Family members can be combined to create one big painting consisting of all portraits. The gray that is used is not a ‘hard’ grey; it’s mixed from the colours red and green (no industrial black is used). This creates a ‘ lively ‘ grey.